The recent few days of good weather have brought the butterflies out. 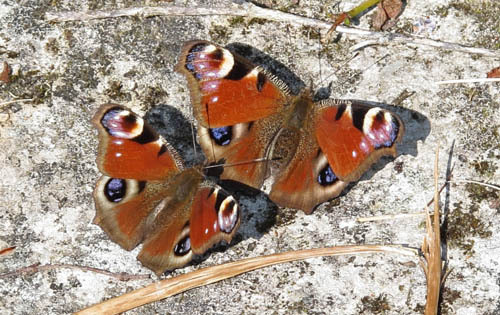 Species reported to our website are: Brimstone; Clouded Yellow; Comma; Holly Blue; Large White; Orange Tip; Peacock; Red Admiral; Small Tortoiseshell; Small White and Speckled Wood. This entry was posted in Featured, News, Sightings and tagged First sightings, peacock on April 8, 2015 by Lyn Pullen.